A task for a healthy future for our Earth. La Gioiosa has always cared for environment and earth health, paying attention to the respect for nature, from the vineyards to the store shelf. by the WBA (World Biodiversity Association). This certifies the company commitment to viticultural practices with a low environment impact to safeguard the biodiversity, the whole of the animal and vegetal species living in a specific area. This sustainable approach is aimed to protect the vineyards and the surrounding environment to further guarantee healthy and high quality grapes. 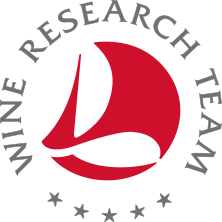 A research and workgroup of over 30 companies of vintners from various regions in Italy coordinated by Riccardo Cotarella. The selections of the WRT project were born from the desire to produce wines according to an innovative protocol aiming to obtain high quality wines while complying with environment-friendly practices. The protocol applies to the entire production cycle: from the vineyard to the bottle. The first achievement is the production of wines without added sulphites, while the activity research includes experimentation in the vineyards and in production.